Mostly while you are getting an incoming call on your Apple iPhone at that time you could appear two buttons; Green for call accept and Red for call decline. Also, you also get Remind me and Message option on an incoming call. That’s okay, even though, accidentally while an incoming call ringing with ‘Slide to Answer’ appears on the lock screen. At that time, what you will have to do to decline call? No idea, right? Don’t worry; I’m going to show here that how to reject an incoming call on iPhone with iOS 12 missing call decline button. The handy trick, don’t require any technical knowledge just go with the following steps. Below techniques are the same for iPhone reject a call from the lock screen in iOS 12 and later. 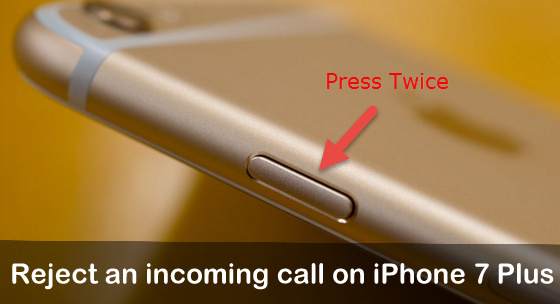 Just you will have to do press the power button two times to decline an incoming call while you appear ‘Slide to Answer’ button. iPhone X: Press side button two times, and cut the call or send busy tone. Moreover, you can also select Remind Me and the set the time to remind you about the incoming call and decline it. Step 1. Launch Contact App or Phone app from the iPhone home screen. Step 2. Tap on Contact and navigate a contact that you want to add into blacklist I mead to do block. Step 3. On the contact screen, you will have to scroll down the screen and Tap on Block this Caller. Step 4. You’ll be prompted to tap on Block Contact. Know here: What happens if you block a contact iPhone the latest iOS? You will not receive phone calls, messages, or FaceTime from people on the block list. Whenever you want to unblock that contact, then you can do that just follow above-mentioned steps as it is and at the end tap unblock this user. Thanks for reading us, did you got the perfect answer to reject an incoming call on iPhone XS Max/XS/XR/X/8/8 Plus/7/7 Plus/6S/6/SE/5S when locked screen? Please share your feedback in the below comment box.